Another break in the Ilan Shor’s file. But what is the reason for postponing the court hearing at the Cahul Court of Appeal? 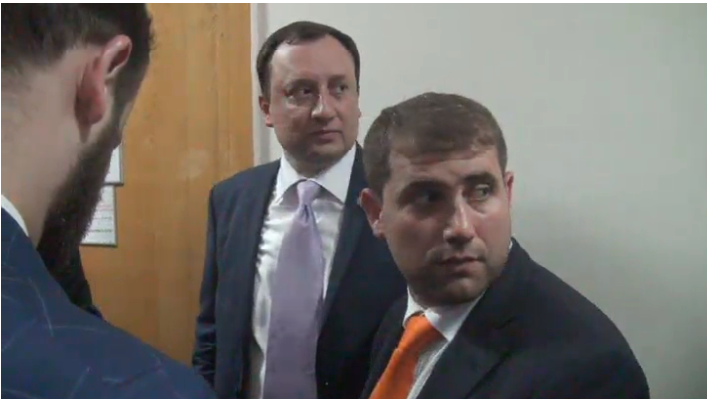 Former Liberal Democratic Party of Moldova, Viorel Ciboraru, says that the pressure put on bloc “ACUM”(PAS + Dignity and Truth Platform) to create a majority with the Socialist Party for Democratic Party’s “situational” elimination is aimed at further justifying the alliance between DPM-SPM. In this schematic of the politician, the “ACUM” bloc will be declared guilty because it would not have made an alliance with the Socialist Party. “All the pressure put on us today to create a non-bloc with PSRM for the “situational” elimination of the Democratic Party from power has a clear purpose: to lay down a most credible story for the true DPM-SPM alliance, lived in 2016 (and earlier, but in 2016 it became evident). I’m waiting for another DPM move. To propose to “ACUM”, concretely – a hyper-European and reformist program: approaching NATO, the EU membership, the integration programs and intensive cooperation with Romania, the 50/50 government (and the post of prime minister, of course). But in this program, there will be a comma or two that will annihilate the virtual proposal. That is to demotivate the West: “you see how far we were ready to go …” Again, Maia and Andrei – the guilty ones. However, there are no good variants. Miracle solutions – not even. As anticipated by more people, we expect a long and hard “positional war”, “melee” battles in parliament, in public institutions, on the ground. Ready with slogans, more grueling work of analyzing, monitoring, observing, criticizing, unmasking, and depicting the corrupt power being re-installed. And strikes, protests, demonstrations, any kind of national resistance, if necessary, to establish the values ​​that we share and which we can no longer deny. Civil society (the associative sector, independent and corporate affiliates, freelancers and bloggers, alternative media, progressive priests, beta-unionists, teachers and researchers) must re-invent, revive, be more dynamic and more self-sustaining, more ingenious and … more optimistic, after all.”, declared Viorel Cibotaru. The experts’ opinions: What are the possible ‘combinations’ in the future parliament? Currently studying Interactive/Media/Design at the Royal Academy of Art. Based in The Hague, The Netherlands. The deputy of the political bloc ACUM and the former ambassador of Moldova to USA, Canada and Mexico, Igor Munteanu declared in an interview for RFE/RL that the tense political situation in Ukraine at the moment, as well as the results of the presidential elections could have repercussions for the entire Eastern and Central European region, including the Republic of Moldova. Igor Munteanu declares that a radical decision in any direction, pro or anti-Russia could influence the situation in Moldova as well. 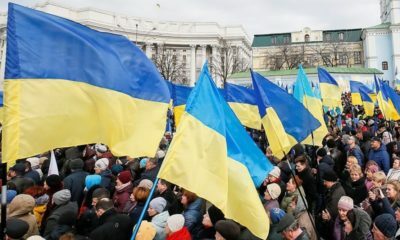 “In case the future president of Ukraine wants to approach a peaceful solution with Russia, that implying worsening conditions for Ukraine’s national interests, I believe it could produce more skepticism in Moldova and could slow down the rapprochement with the EU,” claimed Munteanu. On the other hand, if the current president remains in power and the relations between Ukraine and Russia worsen, the Transnistrian problem would come into question, according to Igor Munteanu. 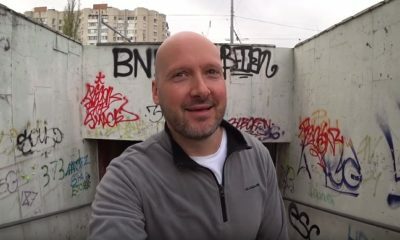 “In an eventual hot war, which is a very expensive option for both sides, the Transnistrian model could be pursued with more attention for a transplant on the territory of Ukraine. 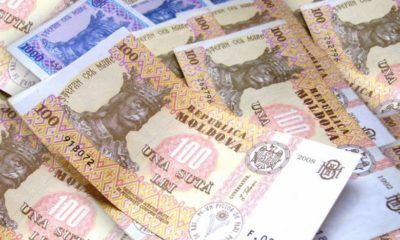 Then, the Republic of Moldova should also make certain corrections regarding the future of Transnistria. So, any kind of change on the Ukrainian politics could have consequences for us,” said Munteanu. 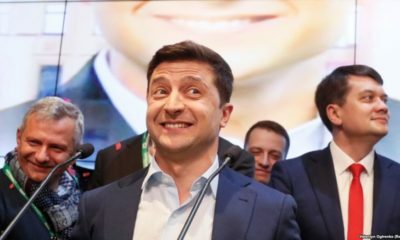 According to the results of the first round of the presidential election in Ukraine, President Petro Poroshenko will run against comedian and TV star Volodymyr Zelenskiy in the second round on April 21st. 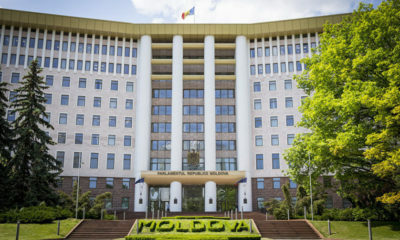 The future Parliament of the Republic of Moldova could be divided between several political parties: The Party of Socialists of the Republic of Moldova (PSRM), the Democratic Party of Moldova (DPM), the Party of Action and Solidarity (PAS), the Dignity and Truth Platform Party (DTPP) – that form the electoral bloc ACUM, and the “Șor” Party. No party has the majority; therefore, a political coalition needs to be formed for voting the future Government. That is where the public, media and the political analysts started to speculate on possible options. 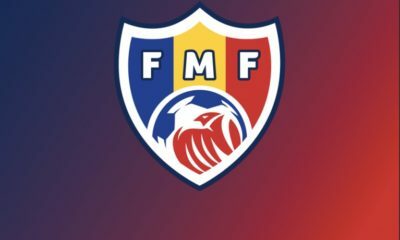 Igor Boțan, the Executive Director of the Association for Participatory Democracy ADEPT, believes that the most probable and realistic option is a DPM-PSRM coalition, as both the DPM and the PSRM have adopted a “pro-Moldova” attitude and already have experience with forming an alliance. 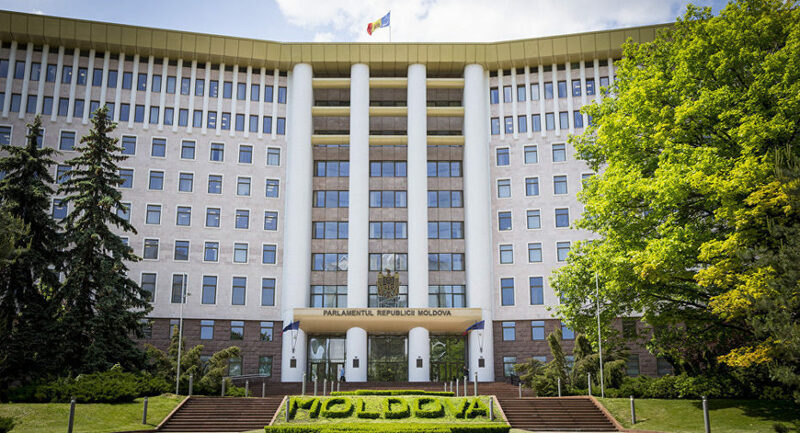 “Regarding the Moldova’s foreign relations, Vlad Plahotniuc and Igor Dodon plead for the idea that Moldova should become a sort of bridge between East and West,” as Boțan states for REL/RL. 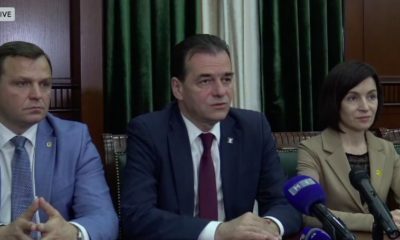 Boțan considers that the DPM and the PSRM have always had common interests. 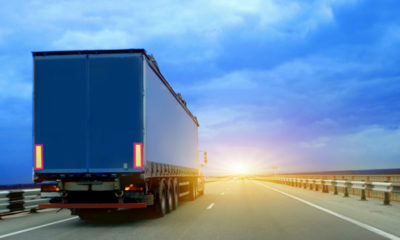 The only impediment in a smooth process of negotiations between the DPM and the PSRM would be an eventual disagreement with Russia, which is interested in maintaining the current political situation in Transnistria, in controlling the Moldova’s exports and imports volumes to the EU and keeping its dominance over Moldova through the Orthodox church and Russian media influence, according to Igor Boțan. 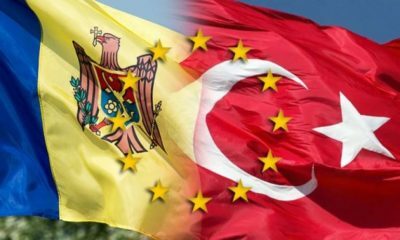 The decision taken by the electoral bloc ACUM to not create any coalitions with any party that passed the threshold of the people’s vote for entering in the parliament has been heavily criticized, especially by the political experts whose position is favourable to the DPM. 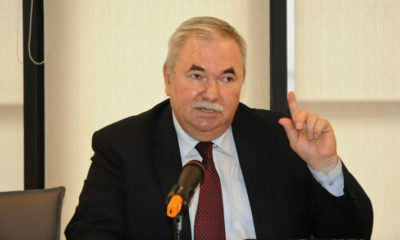 Therefore, the political pundit Corneliu Ciurea, declared for PublikaTV – a channel controlled by the Democratic Party that “the bloc ACUM does not want to sit at the negotiating table.” He believes that without a support from the Western partners that would encourage those from the bloc ACUM to have a dialogue, they won’t be willing to negotiate with the Democratic Party, as IPN reports. 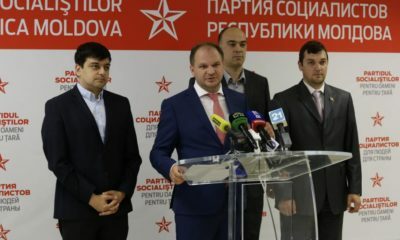 On March 1st, the DPM deputy chairman Vlad Cebotari announced during a press conference that the Democratic Party sent letters to the DTPP and the PAS inviting them to negotiate a parliamentary majority, so as to ensure effective government of the Republic of Moldova, in line with people’s expectations, as the DPM press release states. On the other hand, Andrei Năstase, one of the leaders of the bloc ACUM, declared for ProTV that the DPM is trying to imitate the process of forming an alliance. “From that letter, I deduced the hurry in which the Democrats try to mimic the process of forming an alliance. The bloc ACUM will never form an alliance with the thieves, the ruling mafia, those who degraded the country and its people. One of our main commitments was to not form an alliance with the party of Plahotniuc (the DPM), the party of Dodon (the PSRM), the party of Șor or the party of Usatîi – all the oligarchic and anti-European parties”, stated Năstase. 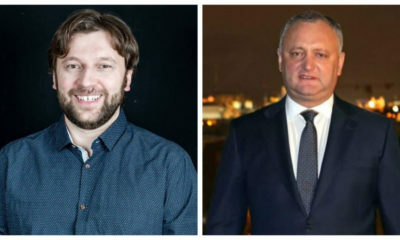 Discussing a possible temporary coalition between the bloc ACUM and the PSRM is an idea promoted by some analysts as the most relevant possibility of the majority creation in the Parliament. 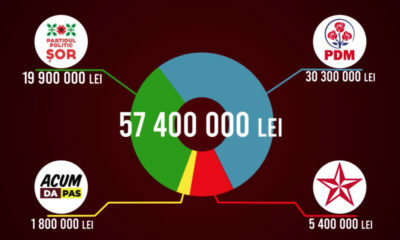 In the opinion of Alexei Tulbure, a political commentator from Moldova, a temporary coalition could be created, based on the fact that more than 60 mandates were obtained by the parties that, at least formally, declared themselves against the current system. “I understand that it is impossible to have a long-term, stable coalition between the PSRM and ACUM, because the priorities are very different, but it is a possibility for a ‘stalemate’ against the DPM in an attempt to free the state institutions from Plahotniuc’s people,” said Tulbure for JurnalTV. 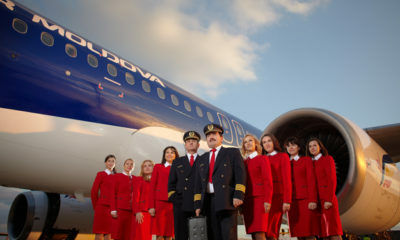 Such a combination would mean a ‘political suicide’ for ACUM, according to the publicist Vitalie Ciobanu. “The socialists are just as rotten and corruptible as the democrats. In addition, the PSRM is a Kremlin’s ‘remote control’,” said Ciobanu. He asks himself how an alliance of the bloc ACUM with those who want the federalization of the Republic of Moldova would look like. “To make all these sacrifices for the sake of an alliance that would break at the first turn – ACUM would be a political loser and a traitor in the eyes of the people who set their hopes on them,” commented Ciobanu. In the same time, the political analysts admit the possibility that the DPM would ‘convince’ some politicians from other parties to adhere to the DPM, just like it happened in the previous parliament. 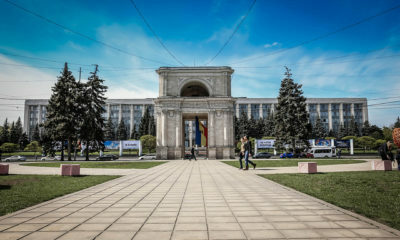 According to the political analyst Dionis Cenușă, the Bloc ACUM needs to decide, whether to influence the governance process or to hold the opposition role in the parliament. 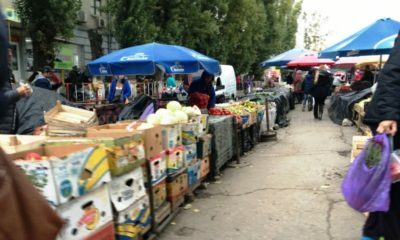 “The difficulty of such a decision depends equally on the success of the Democrats’ ultimate establishment of a coalition with the “Șor” Party, the three independent candidates, and necessarily at least 11 representatives of the Socialists (PSRM). 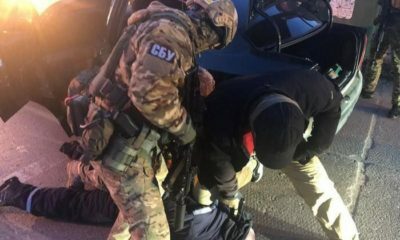 If the slightest risk of such a scenario persists, then the Bloc ACUM needs to prepare for early elections or for the forced prolongation of the current government,” stated Cenușă for IPN. Recently. all 35 members of the PSRM, elected in the national and single-seat constituencies, presented a statement obliging them to work within a single faction in the future legislature. The PSRM president, Zinaida Greceanîi, declared that at the moment the party does not negotiate any alliances, and the allegations regarding the possible coalitions between the PSRM and other parties are just speculations. 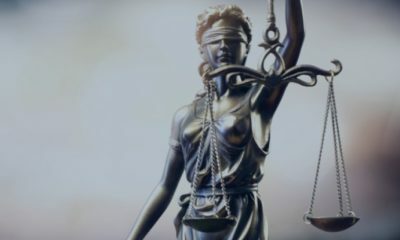 Another possible scenario seems to be prepared by the DPM, as the party member Sergiu Sîrbu filed a petition to the Constitutional Court on February 28th, demanding the transfer of the Parliament’s powers to the Government in case of blocked parliamentary activity. In other words, Sîrbu asked for the settlement of an interim period for the Government in office, where it could issue normative acts, including in the area of ​​regulating laws to ensure the continuity of power. 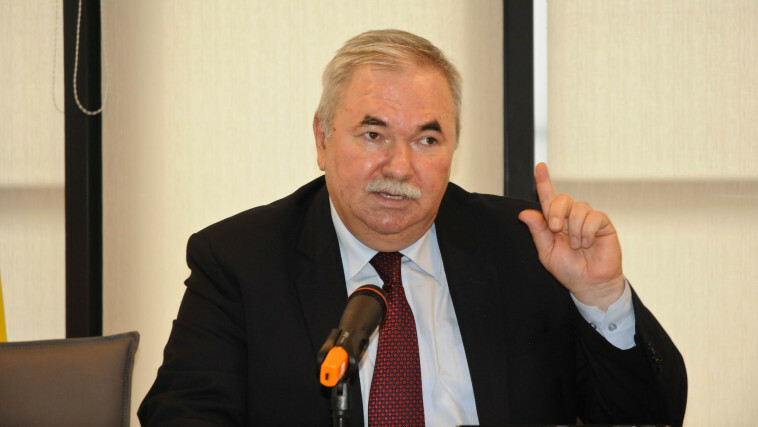 The best conclusion for this article can be made using the declarations of the Liberal Democratic Party of Moldova (LDPM) former president – Viorel Cibotaru: “There are no suitable options, miracle solutions. We expect a long and hard positional war, close fights in the parliament and other public institutions.” Cibotaru thinks that people must organize strikes, protests, demonstrations, any kind of national resistance, if necessary, to establish the values they share. In the same time, he advises the public to not put pressure on the newly entered in the parliament parties. 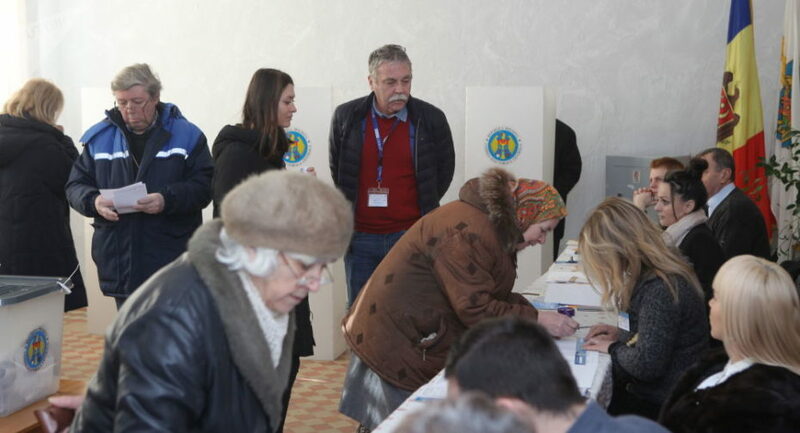 Several national and international elections observation missions issued official statements and reports comprising preliminary findings and conclusions regarding the parliamentary elections in the Republic of Moldova held on February 24th. Some of them raised a red flag, expressing their concerns about the way the election process was organised. 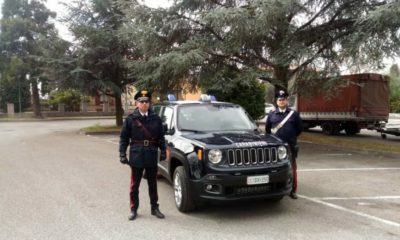 Even though the report highlighted that “the legal framework generally provided an adequate basis for conducting democratic elections,” it also mentioned that the lack of transparency in the way some polling stations were allocated “contributed to the perception that the decision was made for political reasons.” Here is important to add that several polling stations abroad were allocated in small cities of Italy or USA, for example, in contradiction to the Moldovan voters’ preliminary registration for the elections. 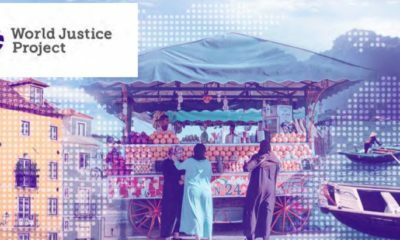 The OSCE report brought up the subject of media reflection of the electoral campaigning, saying that some national TV channels did not comply with the legal requirements to provide fair, balanced and impartial campaign coverage. 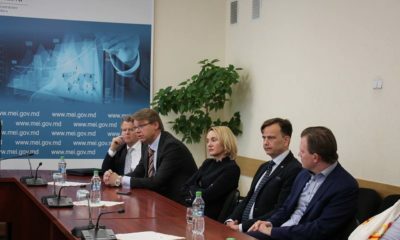 The context mentioned by Transparency International – Moldova included money laundering; the legislative initiatives dedicated to legalizing money with fraudulent provenience (the citizenship by investment law and the law on capital liberalization and the fiscal amnesty); modifying the electoral system, despite the recommendations of the Venice Commission; issuing integrity certificates to compromised candidates; massive persecution of political opponents, local leaders, civic activists through law enforcement institutions and controlled media; mass transportation of voters from Transnistria and their compulsion to vote for a specific candidate for payment; launching populist projects involving enormous public resources by the parties in power; impeding the diaspora to vote using expired passports or contest this limitation of the right to vote, etc. The Civic Coalition for Free and Fair Elections assessed the parliamentary elections of February 24th, 2019 as incorrect and partially free. The assessment was made based on the electoral system modification prior to the elections, use of the administrative resources in electoral campaigning, voters bribing, restriction of the voting rights of citizens from diaspora, lacunae and errors in the State Electoral Register and voter rolls, intimidation of national observers and attempts to compromise civic education campaigns, etc. The Promo-LEX Observation Mission for the parliamentary elections of February 24, 2019 presented in a press release 420 incidents that occurred during the election day. The incidents included 8 cases of providing restricted access or obstruction of free observation in the polling station, 22 cases of violence or intimidation of voters, 22 cases of rumours, attempts, or even factual material or monetary rewards offered to voters in the perimeter and /or near the polling station to influence the voters’ choice, 38 cases of unjustified group voting, 24 cases of unjustified presence of unauthorized persons within the polling station, 18 cases of electoral campaigning or adverse campaigning at the entrance to/in the polling station in order to influence the voters’ choice, 39 cases of organised transportation of voters, 61 cases of deficiencies in electoral lists (address discrepancies, deceased voters, signatures in place of other people), 13 cases of deficiencies in the operation of the SIAS Elections System (suspension of operation, situations when SIAS Elections System indicates that the voter voted, and he claims not to), 50 cases of photographing of ballot papers or other violations of the secret voting, 4 cases of voting of a suspiciously large number of voters residing at one and the same address, and others.